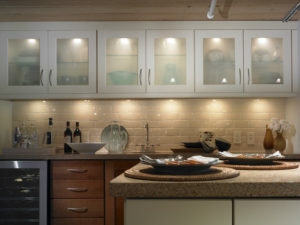 Quality lighting is often overlooked in a home even though it is an important part of our daily lives. Light control is the ability to change the level and quality of light in a given space. Controlling light properly not only allows for a better experience in the room but also saves energy along the way. Lighting control provides a clean aesthetic appearance by consolidating multiple light switches into control stations. Specifically, you can control your home’s lighting from a master keypad or by remote to easily change your visual environment at the touch of a button. It also provides scheduling for exterior lighting, and motion activated lighting for both occupancy & vacancy modes to save energy. Lighting control provides a foundation for the automation system to integrate gate control, automated window coverings, patio heaters, fountains & water features, fireplaces and almost anything else you can think of. Our keypad control stations and remotes come in a variety of styles, colors and finishes. Furthermore, lighting control opens up a number of possibilities for your living spaces. Regardless of the room, a personalized light control system will recall favorite settings and effortlessly transforms the light around you. We also install timers, fan controls, and occupancy/vacancy sensors for extra convenience. Can-Nor Electric ltd. is a Gold Level Lutron Homeworks certified dealer. Not only does this mean that your system will be installed, programmed & commissioned by trained experts. It also means that you will receive an additional 2 years of warranty on all Lutron products installed. From apartments to mansions there is a solution available that will work for you. We also provide you with the tools to make your own programming edits & schedule changes. This way, you won’t be forever reliant on the installer to make future changes. You can explore more lighting control options by watching this video. Can-Nor Electric can give you the control over the “natural light” levels. This is done by installing automated window coverings with varying degrees of “openness” (weave pattern). Controlling natural light plays a major role of home lighting control. In addition, adding window shades and coverings to a room provides the ultimate control of every aspect of room light. Motorized shades will ultimately help you save energy since you can program them with dimmers to control the specific amount of light needed. We can program the motorized shades so they work in conjunction with dimmers to allow for the highest level of energy savings. In addition to savings, motorized shading solutions add convenience, style, climate control, UV control & security to the home. We are a fully certified Gold Level Homeworks authorized Lutron shades dealer. Therefore, offer you the complete Lutron product line. 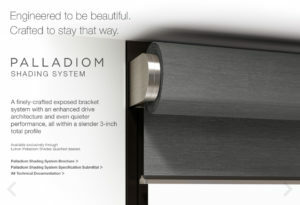 We are also an exclusive Palladiom series dealer for the interior B.C. and specialize in Lutron’s premium shading system. 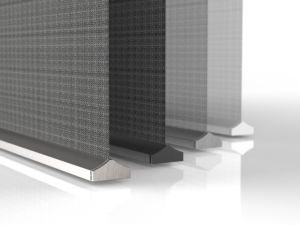 Specifically, the Palladiom system is the most ground breaking and ultra quiet shade on the market. This shading system is completely automated and installed without any fascia, recess or pockets. All Lutron window shading products are available in a variety of styles, fabrics, colors etc. Explore window shading options by following this link to view the possibilities. For rooms with ample sunlight, you can integrate a shading solution with electric lighting for total light control. Additionally, we can preset automated shades for different room uses as well as adjusting for changes in time of day or season.